16 Nights/17 days – including 8 days in Sat Tal Ashram. *This price does not include RT airfare from the US – India. 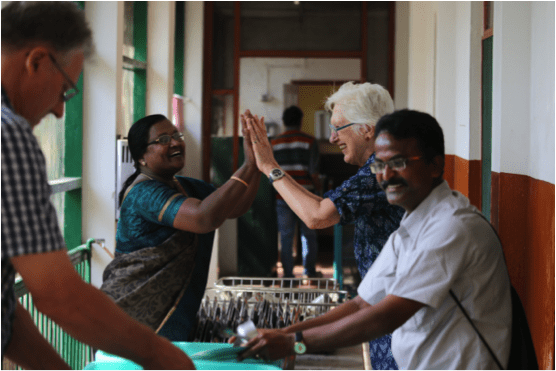 This is an opportunity for you to consider a trip of a lifetime – a visit to India and a ten-day stay at the Sat Tal Christian Ashram founded by missionary evangelist, E. Stanley Jones nearly 90 years ago. As Jones worked to indigenize Christianity in India, he established the Christian Ashram movement, modeled on his experiences in Gandhi’s and Tagore’s ashrams. Jones believed that the Christian faith, as a universal faith, benefits from using indigenous forms to express its message. Jones described the Ashram as a kind of forest school for learning, meditation and prayer and he intended that the Ashram would be a group fellowship focused on Jesus, and that it would operate as a miniature Kingdom of God. Details of the daily Sat Tal Ashram program will be forthcoming. 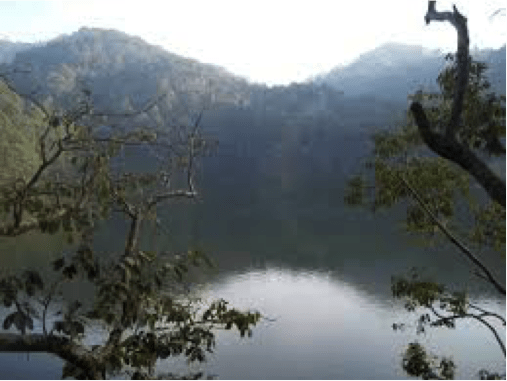 The setting of Sat Tal Ashram (see pictures below) is in a several hundred acre pine forest with lakes and at an altitude of about 4000 feet. The lodging is comfortable, somewhat spartan and beautifully Indian. The daily meals are nutritious and simple. Hiking trails abound and you may well be accompanied by monkeys! Day trips to nearby “hill stations” where you may be able to see the Himalyan snows will also be offered. To take advantage of ‘off season’ tourist rates, we will explore some of the great historic sites of the country including the Taj Mahal, Corbett Animal refuge, Jaipur, and innovative educational and cultural programs before we go to the Sat Tal Ashram. The proposed itinerary is attached. We will be accompanied by our Travel Passion guides, who provided us exceptional services on our 2015 trip to Sat Tal and beyond. India is a land of great variety, contrasts, color and movement. Everywhere one turns there is new interest and excitement. This will be an opportunity to see its powerful emerging economy and reassuring to see the world’s largest democracy at work. We call this a missional tour. For example, we will see the fruits of evangelism over the past 200 + years. Moreover, the Church in contemporary India plays an important role and we will see how the church has become indigenized in its Indian setting and this should afford insights into local ethnic church development in North America. We are offering you options for this tour: The main tour is for those who wish to participate in the complete tour, including the Sat Tal Christian Ashram, visits to legacy mission projects in North India, India’s Golden triangle of exceptional tourist sites. However if you wish to only attend the Ashram or only go on the trip to South India or if your schedule does not permit participating in the full trip, our Travel Passion colleagues will personalize your itinerary. In a word, a great experience awaits you. You will probably never be quite the same again. We invite you to consider this opportunity and this spiritual adventure. For more information and a complete itinerary click here, or contact Anne Mathews-Younes at anne(at)estanleyjonesfoundation.com.